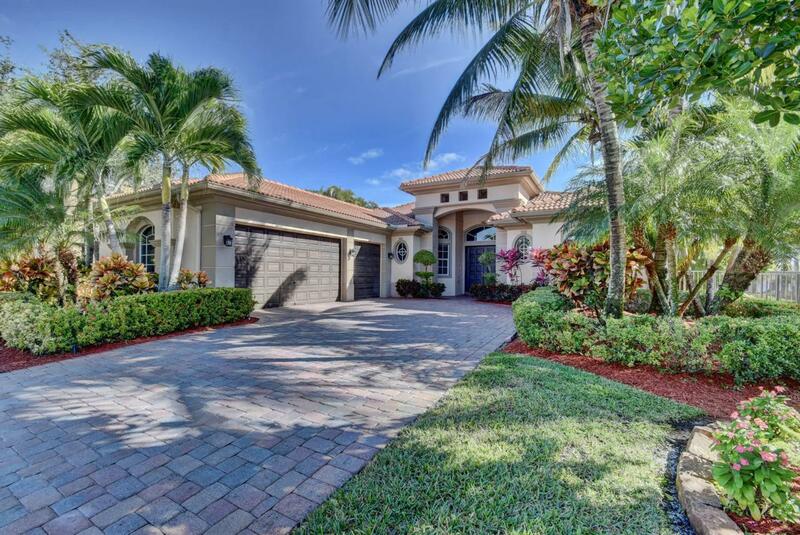 This is a stunning fully upgraded waterfront Toll brothers home in the sought after Wellington View community. 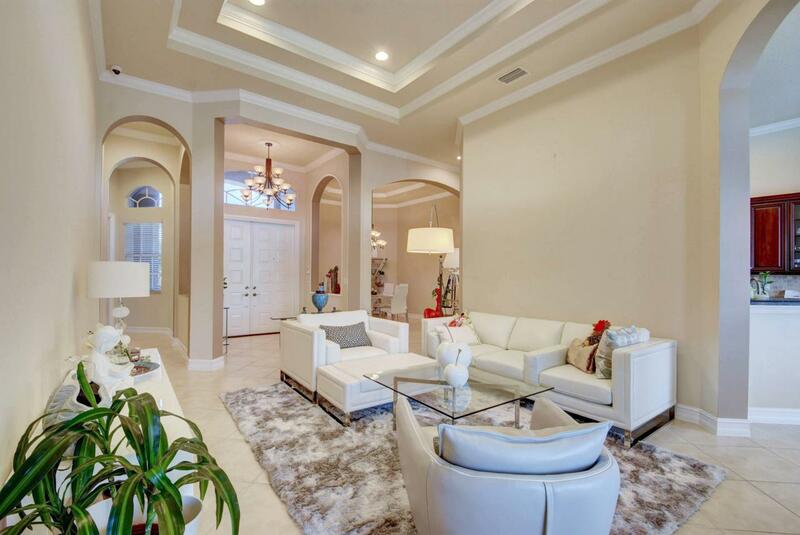 This spacious 4 bedroom+Den home showcases upgrades in every room throughout. Extensive triple crown molding, tray ceilings and custom plantation shutters are just a few upgrades this home boasts. Brand new a/c units in both zones! Breathtaking sunrises, private garden and custom fenced side yard for your enjoyment, room for kids to play or pets to run is just a bonus. Privacy is maintained with lush landscaping in this backyard oasis. The home comes equipped with cameras, alarm monitoring and 24 hour manned security. Best school's and close to restaurants, shopping, turnpike. The meticulous maintenance of the home makes it turn key ready! Home sweet home awaitsSELLER OFFERING 1 YEAR HOME WARRANTY AT CLOSING FOR BUYERS EASE AND CONVENIENCE! Listing provided courtesy of Realty Professionals Inc.